The ebb and flow of our creativity—as well as our connection to inspiration, writing in general, or a specific piece—is as natural as breathing out and breathing in. Losing our passion for a piece can happen for any number of reasons from feeling tired or overwhelmed to approaching the edge of our comfort zone and being afraid to cross over into new and unknown territory. It only becomes a problem comes when, after a creative exhale, we fear we may never feel the inflow of creativity or passion for our writing project, again. While there’s nothing we can do to “prevent” our passion from ebbing and flowing, we can remember and eventually come to know that as natural as it is to lose our sense of creativity and connection every once in a while, it’s equally as natural for it to return. These blog posts led to my being interviewed by Inspiration Zone columnist, Brandi-Ann Uyemura, for her article, Rekindle Your Passion for Writing, on The Writer Magazine's website, WriterMag.com. 1) Nancy Christie: Tell us a little about yourself. How long have you been writing and coaching writers? When I started WritingSpirit in 2003, my focus was on helping spiritual writers of all faiths. But as time went on, I realized that what I have to share about the creative process, as well as the business side of writing, applies equally to all writers. So, now, WritingSpirit represents that spark of creative fire that burns in the heart of every writer. 2) What are some of the reasons why writers can find their passion start to cool or their creative fire start to die down? There are several reasons your passion for writing can start to cool, whether toward a specific project or in relationship to writing itself. The more practiced you become at opening to inspiration, the more your ideas will flow not only to the writing project you’re working on, but to other potential projects, as well. Unfortunately, writers are not immune to the Bright Shiny Object Syndrome, and may cool toward one project as another begins to take shape. Distractions and time away from writing can also dampen your passion and enthusiasm, while hitting a fear barrier can literally stop you in your tracks--whether you recognize the fear and resistance that’s being stirred up, or you create a plausible explanation for why you changed projects or stopped writing. 3) How do you help your clients reignite the embers? The two most powerful ways to reignite your creativity and passion are to remember what you love about writing, and to actually write. When you become disconnected from your writing, for whatever reason, the thought of it can feel more like a chore than a choice. It becomes easy to forget the joy and sense of accomplishment it brings. 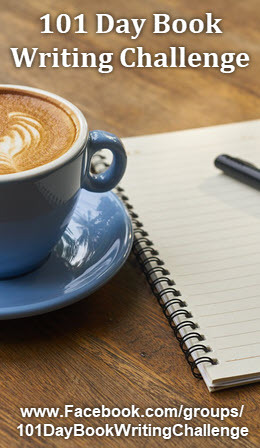 So to help you get reconnected, remember what you love about writing and turn it into a list that you can look at whenever you’re feeling so distant from your current project that you begin to wonder, “why bother?” As you read and remember, you’ll begin to feel your writing call to you, again. What’s your favorite part of the writing process? How do you feel when you’re doing it? What does it mean to you to be able to do it? How do you feel when you’ve finished a piece? How do you want your writing to touch your readers? Whether your desire is to guide, inspire, entertain, or educate, how does it feel when you know you’ve accomplished that? When you get positive feedback from someone who’s read your book, blog, or other writing, how does that feel? Once you’re writing it’s much easier to catch fire and keep going. If you write for a while and this doesn’t happen, then you probably are—in that moment—too tired or too distracted to write. Respect yourself and your creative process enough to stop writing and be okay with it. Beating yourself up is never helpful, it creates a pressure and resistance within you that makes everything harder. However, being kind to yourself, especially when you’re finding it difficult to write, brings a relaxation and openness that allows your creativity to thrive, again, once you’re rested and ready. 4) As a coach, what do you find are some of the common stumbling blocks authors have to overcome? How do you help them deal with them? Three of the most common stumbling blocks that writers face are a lack of confidence, clarity, and creativity. Often they’re intertwined, because when you’re not clear about how to move forward on a project, you can lose confidence in your ability to write and end up feeling blocked. Or, if you lack self-confidence, you might find it difficult to choose between possible writing projects or to organize your ideas, leaving you confused and frustrated. If you were to come to me and tell me that you’re blocked, no matter what reason you give, I’d tell you the same two things I tell everyone. First, don’t panic. Nothing is wrong. Every writer has times like this; it’s just part of the creative process. Then, once you start to relax a little, I’d ask you to get curious. Become a detective and find out what’s really going on with you. Don’t assume you know what the problem is, be open to any possibility. What are you feeling, right now? What’s going on in your life? What part of the process are you getting stuck on? As you start answering these questions, you’re going to discover that defining the problem often reveals the solution. If you don’t know what your main character does next, then it’s time to start brainstorming. But don’t stick to your storyline. Come up with 50 of the wildest and craziest possible scenarios you can think of. When you stop trying to find the perfect solution and simply let your imagination run wild, you’ll reconnect with that spark of inspiration that gave birth to your character in the first place. Chances are, before you even realize it’s happening, your story will start to flow, again. If you realize that your feeling of overwhelm is coming from trying to cram everything you know about your non-fiction topic into your first book, then it’s time to pull back and more clearly define what you’re trying to accomplish by writing this book. Who are you writing for? What are you trying to teach them? What do you want your readers to learn, realize, or be able to do by the time they’ve finished reading your book? Your answers will give you clarity and direction, as well as help you prioritize and organize your material. 5) When I talk with writers, I find that many feel “burned out” because of the business side of writing: the marketing, pitching, website updating, blogging—all the things we have to do that aren’t strictly writing but are part of the whole picture. Often it seems like we spend more time with the biz side than the creative side? What advice do you have to help keep the two aspects in better balance? The first step towards creating a better balance between the two is finding a way to make peace with, and actually embrace, the business side of writing. 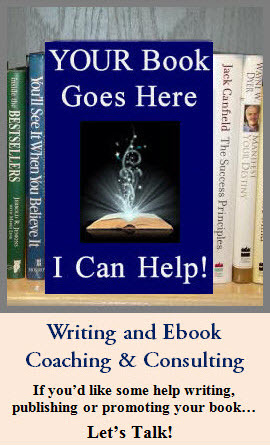 Its sole purpose is to serve your success as a writer. The more you can truly embrace the business side of writing, instead of resisting or resenting it, the more it will feed your creative energy rather than drain you. When the… “marketing, pitching, website updating, and blogging” become valued allies, instead of a dreaded nuisance, everything you do will flow more easily, the results from your efforts will improve, and you’ll be able to get back to your first love, your writing, much more quickly. In addition to improving your relationship with the business side of writing, there are also some productivity techniques that can help. Setting a time limit (and a timer) can be very useful. In productivity circles there’s something called Parkinson’s Law—work expands to fill the time available for its completion. So instead of saying, “I’m going to write a blog post today,” take out your calendar and schedule it from 1:00 to 3:00pm., or for however long you thing it should reasonably take. The real trick is to stop when your time is up, whether you’re finished or not. Of course, if your project’s not finished, you’ll come back to it at another time and finish it. The point is that the more you respect YOUR TIME (not the timer), the better you’ll be able to focus and the more you’ll get done, which helps create the balance you’re looking for. I use Cool Timer for Windows, which you can download for free at http://www.harmonyhollow.net/cool_timer.shtml. Every day I put two timers on my desktop, setting one as a stopwatch to keep track of how much time I put into a particular project that day, while the other counts down my individual work sessions of either 45 or 60 minutes. Even when you’re in “the zone” and your writing is flowing easily, a timer can remind you to get up, stretch, and walk around a bit every hour or so, to help your body and mind stay clear and strong through a long day of writing, and taking care of business. 6) Your post, Romance Your Writing, provides some excellent ideas for how to put the spark back in the writing process. As a writer, do you sometimes find your own “zing” has been zapped? If so, what are some ways you breathe life back into your own process? No matter what creativity issues I’m wrestling with—yes, I have them; we all do—I know that writing is the cure. Now, I may procrastinate a bit or get caught up in the issue for a while, but when I do finally sit down to write, I’m home. Whatever I was struggling with melts away 98% of the time. Even though I know it’s going to happen, it always feels magical when it does. As far as techniques go, if I’m really spinning my wheels I’ll get off the computer, grab my journal and pen, and snag the comfiest seat I can find. Once I’m settled in, I take a few deep breaths and close my eyes. As I think about whatever I’m having trouble with—whether I’m confused about how to organize a piece, or I have a feeling that something’s missing, needed, or not quite right—I’ll form a clear sense of the ideas or information I’m looking for, tune into the expectation that I’ll get what I need, and then let my mind begin to wander. Inspiration will usually start to flow pretty quickly. Between that, and the fact that there’s something about writing with paper and pen that helps me connect with my creativity differently than when I’m on the computer, I usually find what I’m looking for. 7) Where do you do most of your writing? Are there elements in your workspace that you feel add to your creativity? I work at a computer desk, with my laptop sitting on the pulled out keyboard tray. When I want to edit some printed pages or brainstorm in my journal, I simply close my computer and slide it under the desktop. While I do have papers and notebooks stacked on my desk, keeping that area neat helps my mind remain relaxed and clear. For inspiration, I’ve printed two of my favorite upcoming book covers and have strategically placed them so they’re easily visible even when my laptop is open. One is for my Law of Attraction ebook, “Anything is Possible!” I love that thought, as well as the cover and the ebook it represents. 8) What are your top tips for keeping the passion for writing alive? If you’re stuck… write anyway. If you’re not sure what comes next… write anyway. If the kids are screaming… write anyway. If you feel like you’ve got nothing to say… write anyway. If you’ve cooled towards your project… write anyway. If you can’t find a spare minute… write anyway. The act of writing is what connects us to the source of our creativity. It incites hope, invites inspiration, and ignites our passion. * Savor, appreciate, and celebrate the writing journey. Most of us started writing solely for the joy of it. Then, somewhere down the road, it became “work.” When you heap deadlines, agents, publishers, cover artists, editors, social media, platform building and book promotion on top of your writing, the joy you once felt can get lost in the crowd. So make a conscious effort to invite joy back into your creative process as often as possible—by letting your imagination have its way with you, by writing something just for the fun of it, by appreciating the flow of inspiration as well as the intricacies of craft, and by celebrating your progress on a piece as well as its completion.